Collection of 'Creative Honeycomb Inspired Designs and Products' from all over the world. 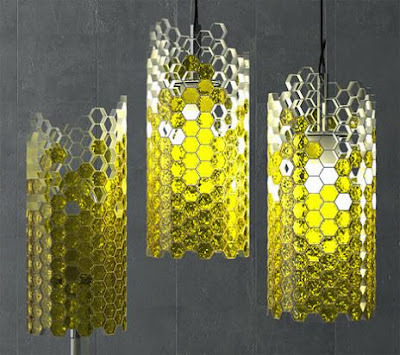 Beehouse Lamp: The Beehouse Lamp by Russian designer Yar Rassadin has honey filled units made from honey-yellow Swarovski while the comb is made from white bend plastic, together they beautifully resemble a honeycomb. 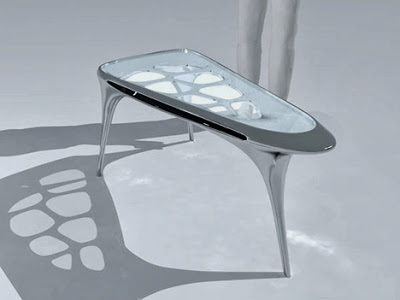 Beehive Inspired Table: The beehive inspired table is the creation of Designer Hoon Roh. 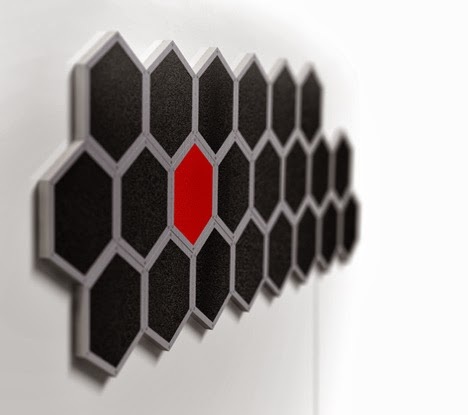 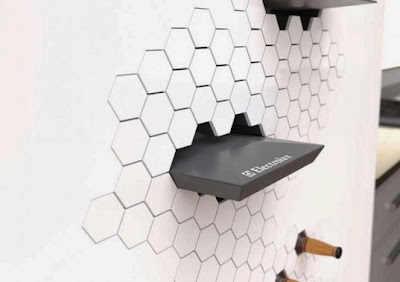 Sound Hive: Hive is a simulated surround sound speaker system that consists of several hexagonal flat panels that look similar to the honeycomb pattern. 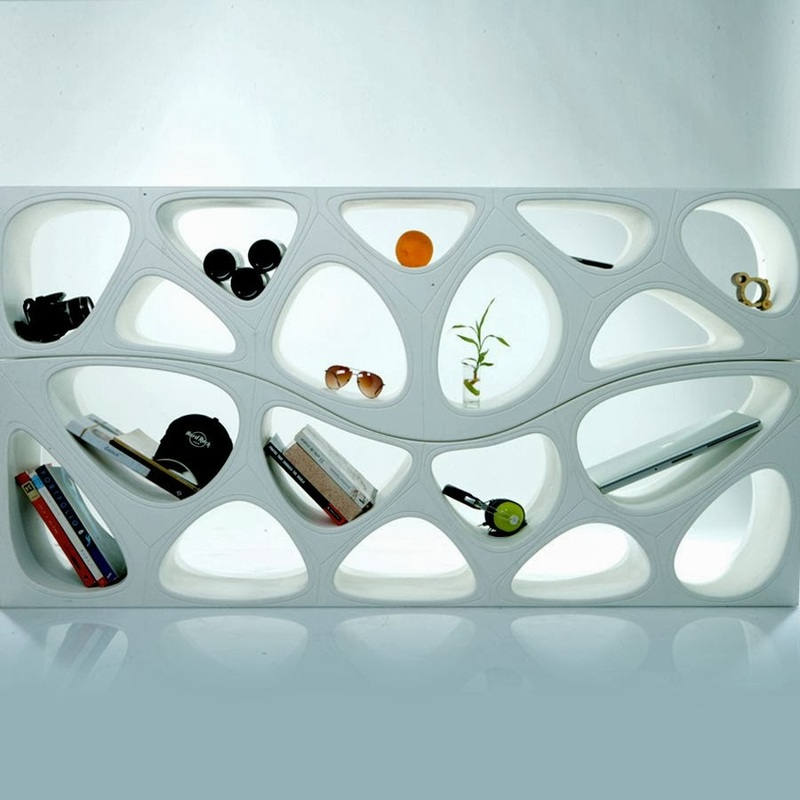 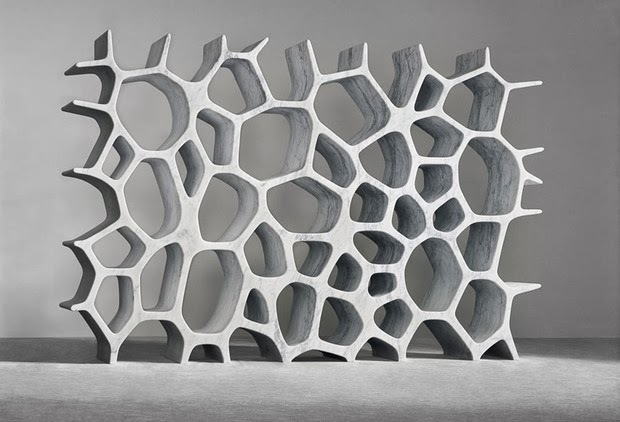 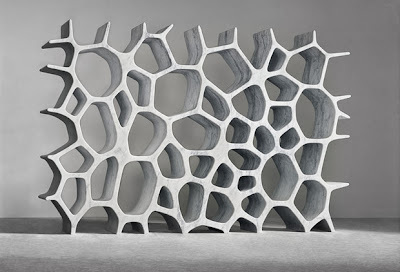 Voronoi Shelf: Creation of designer Marc Newson, it's created from a five metric-ton block of Carrara marble. 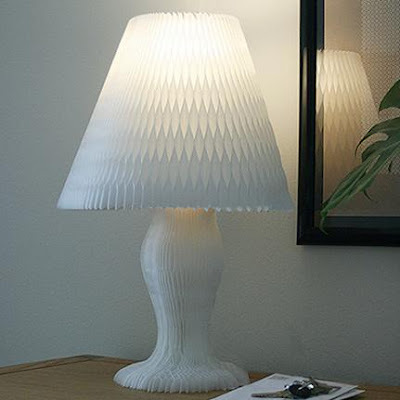 Honeycomb Lamp: This honeycomb lamp takes its inspiration from paper lantern and can be folded flat for easy storage when not in use. 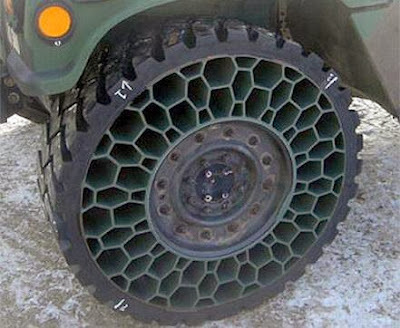 Non-Pneumatic Tire: This airless tire comes from a company named Resilient Tech, this prototype replaces the key part of tire with a non-pneumatic honeycomb structure. 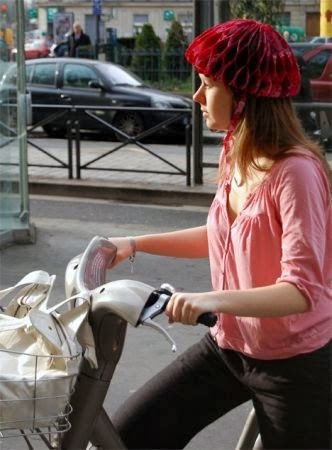 Folding Helmet: This folding helmet designed for cyclists is made from textile materials and takes its inspiration from honeycomb. 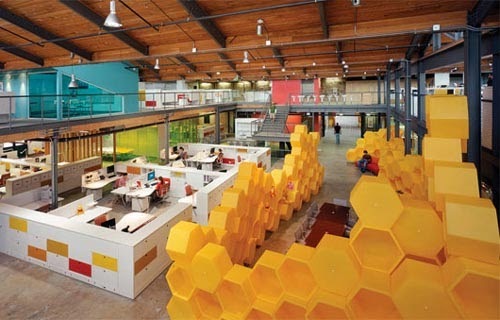 Disney Store Modular Honeycomb Design: This modular honeycomb design comes from Disney Store Headquarters, designed by Clive Wilkinson Architects. 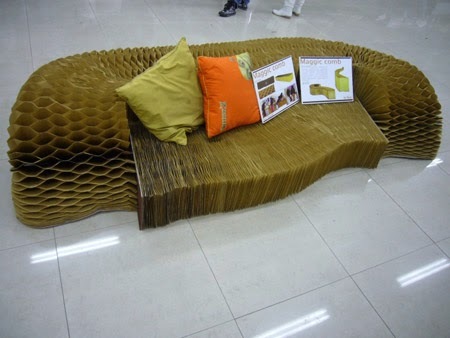 Honeycomb Chair: The Honeycomb Chair is made from cardboard and can be compressed or expanded depending on your requirement. 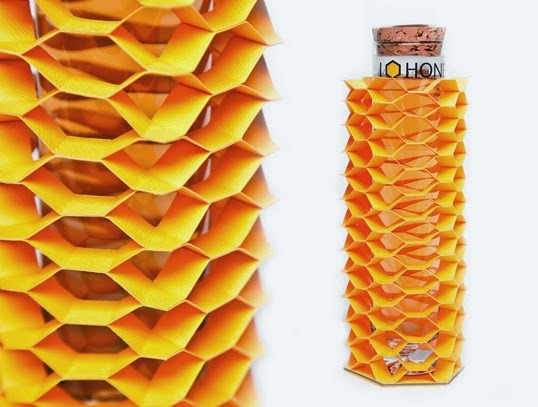 Honeycomb Inspired Package Design: This innovative package design is the creation of student designer Tatiana Matsoulevitch; it takes inspiration from honeycomb. 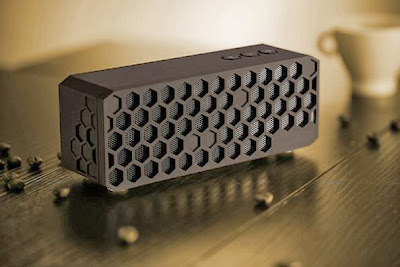 Honeycomb Bluetooth Speaker: This Honeycomb Bluetooth Speaker takes is inspiration from honeycomb; it provides 360 degrees of streaming high quality sound. 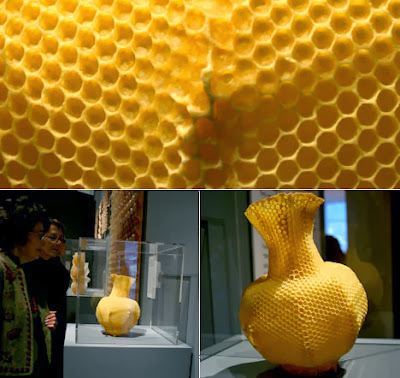 Honeycomb Vase: The Honeycomb Vase designed by T Gabzdil Libertiny and literally made by bees. 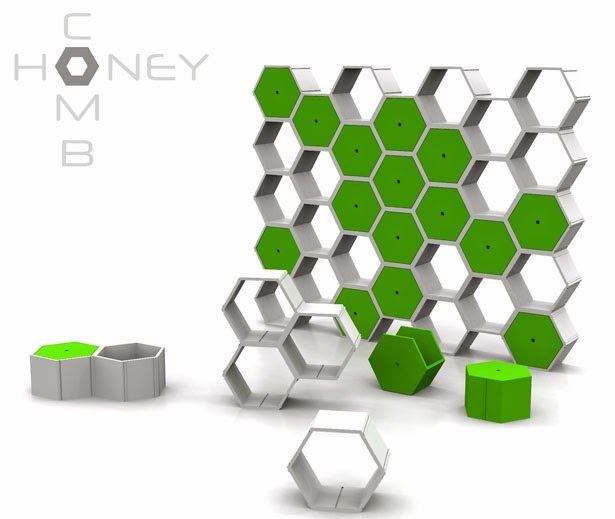 Honeycomb Modular Furniture System: Honeycomb modular furniture system by NyadaDesign takes the hexagonal shape to allow one to compose it vertically or horizontally into different kinds of furniture like room divider, bookcase or a seating area, and is suitable for both indoor and outdoor use. Impress: Impress, a doorless refrigeration wall is designed by Ben de la Roche, an industrial design student at Massey University in New Zealand; for saving energy and preventing food wastage.